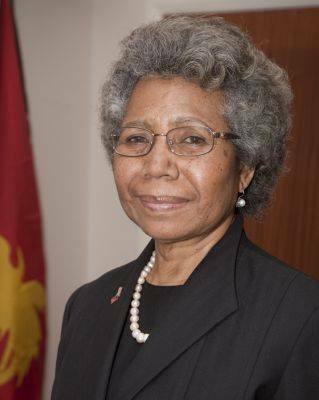 The High Commissioner of Papua New Guinea to the United Kingdom, Ms Winnie Kiap, has made history, becoming the new Chair of the Commonwealth Secretariat Board of Governors. She was unanimously elected by her fellow Board members and took up responsibilities yesterday. Ms Kiap succeeds Ms Yamina Karitanyi, High Commissioner of Rwanda to the United Kingdom. She will serve in this position for two years. In welcoming Ms Kiap, the Commonwealth Secretary General, Patricia Scotland, described the event as a landmark moment as a woman succeeds another woman on the board. Ms. Kiap will serve as chief executive of the Secretariat and first servant of the commonwealth. Ms. Scotland says she looks forward to moving ahead with configuration of their work and adapting the Secretariat structure to deliver more efficiently and with greater impact for governments and the people of member states, including through the formulation of a new Strategic Plan. Ms. Kiap, from Manus, was Secretary of the National Executive Council before being posted to London as High Commissioner to the United Kingdom in 2011. She first started her civil service career with the Department of Trade and Industry, and also served as Director Corporate Services with the Investment Promotion Authority.